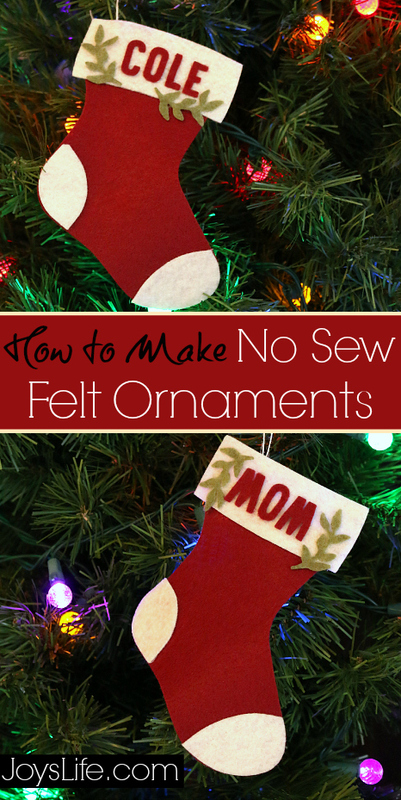 How to Make NO SEW Ornaments! Raise your hand if you have little time for sewing during the holidays! Yep, us too! So we are loving Joy Dickson's quick no sew project below! Hi Friends! 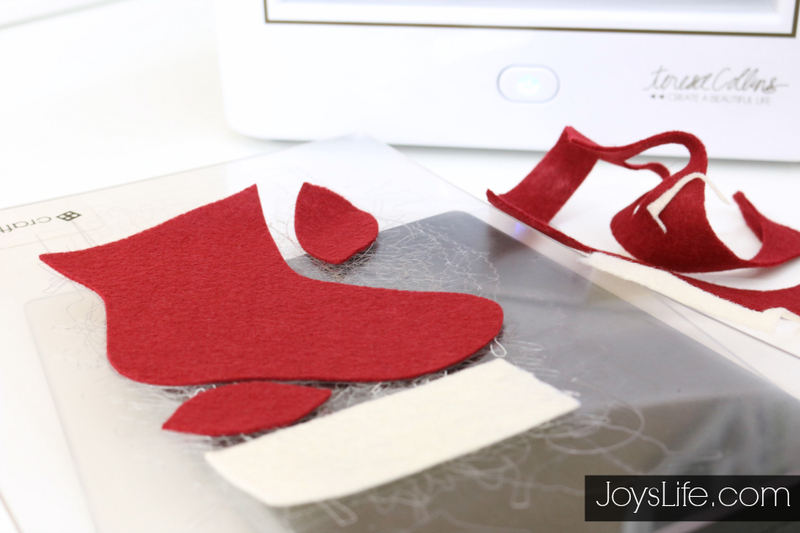 It's Joy from Joy's Life.com here today sharing how easy it is to make felt ornaments with the Cut'n'Boss! I have two corner Christmas trees in my front foyer and they are totally naked except for lights. I've been putting them up that way for about 10 years. I like to think of them in fancy terms as a "lighted tree entrance to the decorated tree" but truth be told, they're just naked. My plan? Craft felt and glue baby! 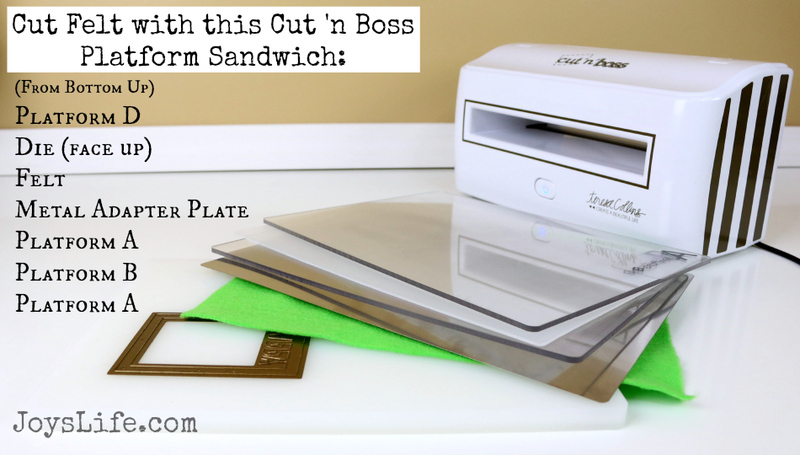 I'm using the Cut'n'Boss electronic die cut machine to help me (sooo easily) cut out my felt pieces. I'm using a stocking die that I bought years ago. It's #124098 by Sizzix. Any stocking die is fine for this. 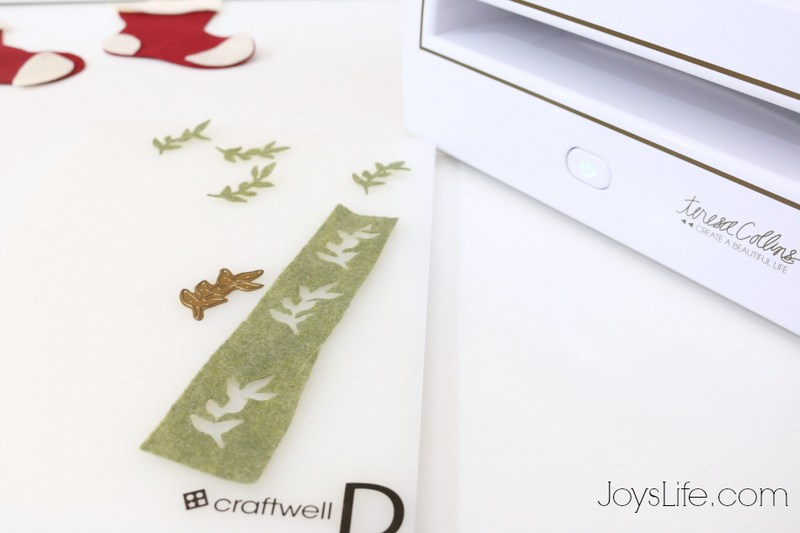 Simply cut out your stocking shape using craft felt. I'm talking about that super cheap felt found in most craft stores. Using the Cut'n'Boss? 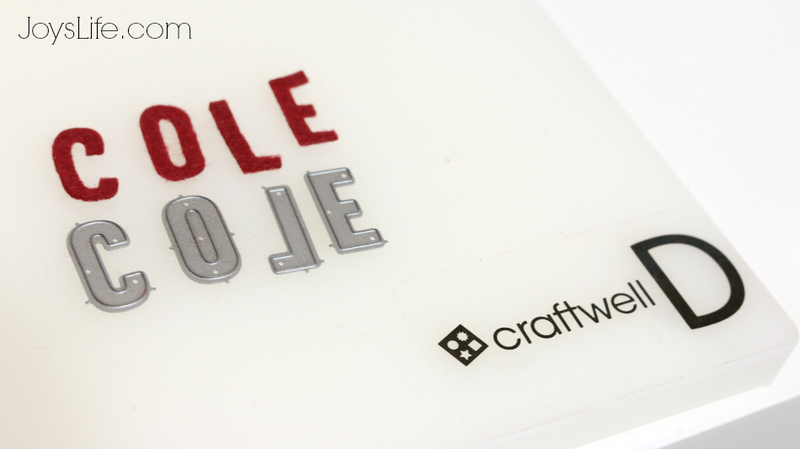 The Cut'n'Boss had no problem cutting felt shapes using this chunky die or switching to a thin die. If you need help knowing which "sandwich" of platforms to use with your Cut'n'Boss, then this helpful .pdf of platform combinations is for you. I also show you how to use chunky dies, like the one above, in this post where I made a felt wreath. After cutting the big stocking pieces out of red and white felt, I used this pretty leaf die from the Teresa Collins Cut'n'Boss "Thankful" Holiday Steel Die Set. Can you believe the Cut'n'Boss can cut those intricate leaves out of felt? I'm amazed every time. You've seen this platform sandwich photo on this post but it works here too! ;) This shows how to cut felt using the thin steel dies. 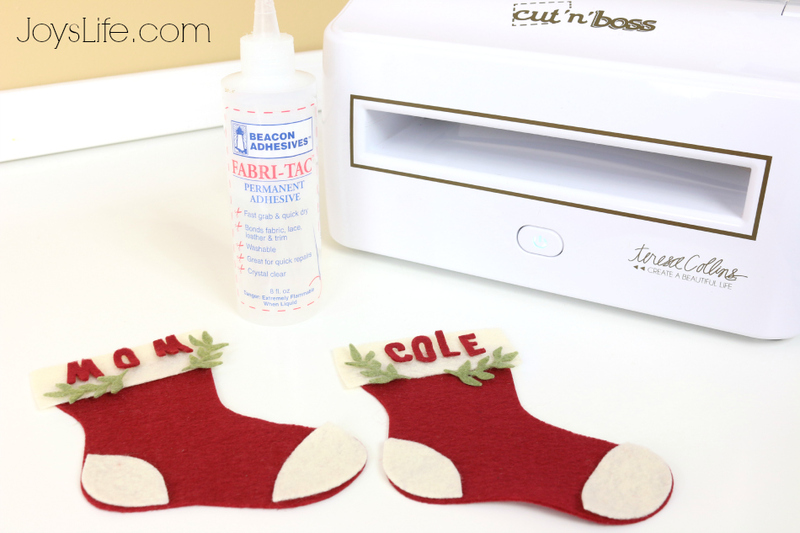 I used Lawn Fawn's Cole's ABC's dies to cut out names for my stockings. Cole's ABC's dies and my Cole are not related. LOL! The trick to "no sewing"? I swear by Fabri-Tac. It's a great fabric glue! I used it to glue on every single piece. When I needed smaller areas covered, I squeezed some glue out onto my craft mat and applied it with a coffee stirrer. I even glued a twine hanger onto the stocking! All that's left to do is hang them! YAY! Now, I just need to make 3 more of these. ;) You could also make backs for them and use them as stockings that you can fill! Isn't this project genius?! Thank you Joy for sharing it! Be sure to leave Joy a comment below!